You’re told that the process is super easy & that all you need to do is pick a banner & watch the money stream into your account… But it all sounds a bit too good to be true don’t cha think? So what’s the deal – is it actually legit or will Digital Payday scam you & just leave you with even less cash than you started with? What Exactly Is The Digital Payday System? Allegedly, according to the website at least, the Digital Payday system has been put together by a self made millionaire named Daniel Bluth. 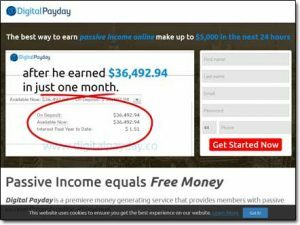 He claims that the Digital Payday system is a “premiere money generating service that provides members with passive income through online ad revenue”. The idea is that through the platform you can invest in online advertising & generate a passive return on your investments – or at least that’s what you’re led to believe. Daniel calls this “ad flipping” & he says you won’t believe how quickly the profits add up… Claiming that you can make as much as $5,000 within just your first 24 hours. The website even makes out like the whole thing has been backed by Mark Zuckerberg as the homepage seems to show an image of him hosting a Digital Payday conference, but don’t be fooled – the image is fake. And the reason that they’ve Photoshopped the photo of Mark Zuckerberg is to try & trick you into believing he’s endorsed the system to gain your trust… Because in reality things are not quite as they seem (so don’t rush into signing up). In fact the truth is the whole system is a total phony – and there isn’t even such a thing as “ad flipping” at all. The Digital Payday system is actually just a sales funnel that’s been designed to get you to buy into something called Clicks Dealer which is a big scam that I’ve previously exposed here on this blog. But obviously I don’t expect you to just take my word for any of that, instead keep on reading & I’ll show you exactly what’s really going on so you can see for yourself why the system won’t actually make you any money (and I’ll also show you which legitimate platform you should choose if you really want to make money online). How Does The Digital Payday System Work? Well first thing’s first, Daniel Bluth – the “millionaire” behind it all is actually just a fake. It’s a made up alias & made up story to hide the true creator of the system & the reason they’re trying to keep themselves hidden is simply because they’re set out to part you with your cash. 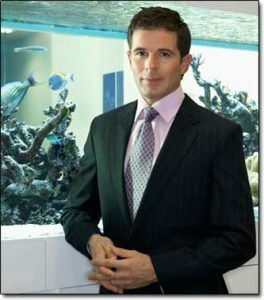 A quick Google search on the Daniel’s photo reveals that the photo being used is actually just that of an aquarium company owner (hence the large fish tank that you can see in the background). Anyway, the whole concept is based around investing in advertising & after entering your contact details into the Digital Payday website (which I don’t recommend you do) you’ll be redirected straight through to the Clicks Dealer website where you’ll immediately be encouraged to deposit at least $250 to get started… But pushed into depositing a whole load more to see “better profits”. You’ll also start getting a whole bunch of calls to the phone number that you entered upon registration & if you were to answer them you’d find out they’re from the “success team” & they want to make sure you get setup correctly… In other words they basically want to make sure you do actually deposit, and that you do actually deposit as much as possible (even if it means you taking out a loan or spending on a credit card). These guys basically put a LOT of pressure on you. So if you were to deposit… What happens? Well you’ll find that your account does indeed get credited with the amount that you deposited, and you’ll then unlock the freedom to invest in various online adverts. Next to each advert your shown what sort of ROI the advert will generate if you invest & naturally they all seem amazing. If you were unaware that it was a scam you’d likely think it was an amazing opportunity & that your life was about to be set to change… But it’s definitely not. Well, not for the better anyway. Now this is the point where the trickery comes in though… Because you’re probably expecting me to say that after investing the money, the ads turn out not to be profitable at all… But that’s not quite the case. The guys behind the Clicks Dealer / Digital Payday scam are much cleverer than that. Instead after investing you will indeed see your ads starting to make a profit… BUT you’ll be unable to withdraw any of it. Instead you’ll be told that you’ll need to deposit more & generate more profit before you can meet the threshold to have the money paid to you. 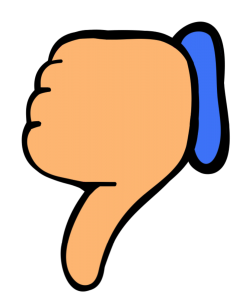 At this point if you were still unaware it was a scam then naturally you’re bound to deposit once again, this time probably even more since the whole thing seems to be working… However it’s this time around when you come to withdraw that you’ll find out the hard way that the whole thing is just a con. Instead of honouring your refund request like a legitimate company they’ll just either ignore it & pretend they never received it, or point blank refuse it. Either way you will not be able to get any of your money back (unless you run a chargeback) and you certainly won’t get any profit. The Whole Ad Flipping Thing Is Fake! I’ve been working online full-time for several years now & I’ve reviewed hundreds of different make money opportunities… I’ve pretty much seen it all, and one thing I can tell you is that there’s no such thing as ad flipping. They’ve basically just come up with a seemingly convincing story in an attempt to trick newcomers into believing that it might actually work. Any experienced marketer would just immediately brush it off, but if you’ve never really done much online before in terms of online marketing or advertising then it could be easily to get duped by their story… And that’s all they’re preying on. Sadly though as you can see from the comments on my Clicks Dealer review there are still many people getting caught out despite my warnings. My Verdict – Is Digital Payday a Scam? In my opinion the answer to that is absolutely yes! As far as I’m concerned the Digital Payday system is a flat-out scam & the only reason it exists is to make it’s creator wealthy at your expense. It will NOT help you make money like it claims. The truth is that you can actually make very good money online, but you must be prepared to put in the work to do so. There are no magical shortcuts that will make you rich with ease & speed… But if you are prepared to put in the work then the good news is there are legitimate programs out there like Wealthy Affiliate where you can learn what you really need to do to make money. Things like Digital Payday that promise methods that sound way too good to be true are best avoided – after all you’ve just got to think to yourself that if it was legit, why isn’t everybody doing it? The answer is because it’s a scam. So overall it’s safe to say I won’t be recommending the Digital Payday system but hopefully this review here has helped you see why I’ve come to that decision… And hopefully it’s also given you the insight into the program that you were looking for. Is The Simple Profit Secret System Legit? The Brit Method Exposed – Real System or Dangerous Scam?